Your life is likely to be shorter if you’re from the North of England rather than the South. More young adults are dying before their time in the North of England than in the South. And the gap is widening. And when there are new jobs in the North East, two-thirds are insecure (e.g. agency, temporary, or zero hours). In old industrial areas, at the median men earn around £200 less per month than the national level. 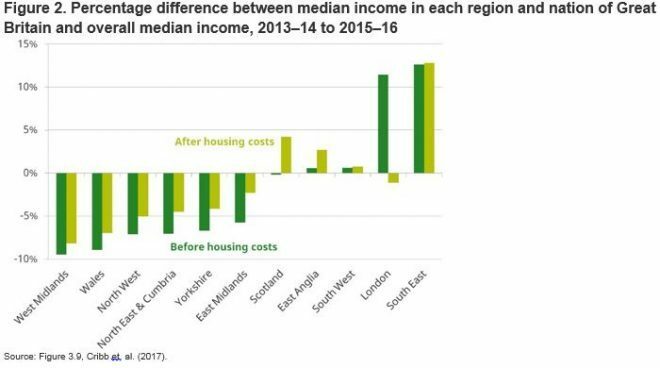 And in these areas, the poorest-paid 10 per cent earn less than a third of median earnings across Britain as a whole. Less than 1 in 3 (30.6 per cent) of residents in Yorkshire and the Humber are skilled at NVQ Level 4+, against 1 in 2 of all Londoners. These are just a few stats I’ve picked to paint a picture about inequality between regions. The picture shouldn’t surprise anyone. For too long, weak economic growth has been symptomatic of a failed London-centric model. However North-South thinking is both dangerous and unfair. It’s dangerous because if the policy analysis is wrong, the policy prescription will be wrong. Out of 21 NUTS 3 areas, in London, 10 had economic output lower than UK average in 2015. 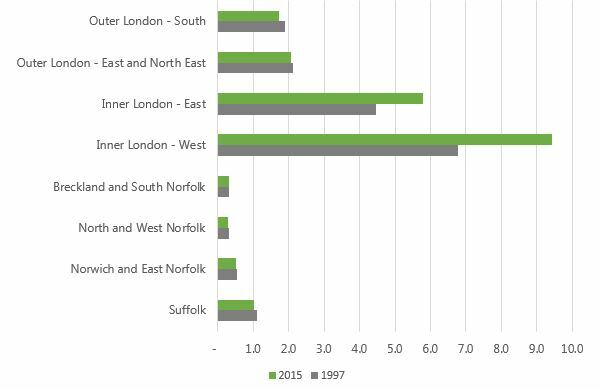 Output in 13 London regions has fallen as a proportion of UK output since records began in 1997. Just because a region has a relatively higher or an increasing GVA per head does not mean that all wages are increasing across the East and South East. The above chart shows that Outer London and Norfolk and Suffolk are not keeping pace with the gains seen in London’s centre. But it is these gains at the heart of the capital that are at the forefront of most people’s minds when we think about the North/South divide. In too many communities, often (but not always) outside London and the South East, gone are the skilled and unionised jobs. These communities have been abandoned. A recent study by Sheffield Hallam University found that hollowing out of local labour markets, leading to lower pay and an increase in the number of benefit claimants, has been decades in the making. That’s why a proper industrial strategy with a Great Jobs Agenda at its heart is so essential. But to address the inequalities, the government also has to listen to what the regions have to say. What is the TUC doing? Earlier this year we launched a series of studies into place-based industrial strategies. We’ve been looking at Liverpool, Tees Valley and Norfolk and Suffolk. We want to find out what’s needed to create great jobs in each area so that we can work towards re-balancing the economy. 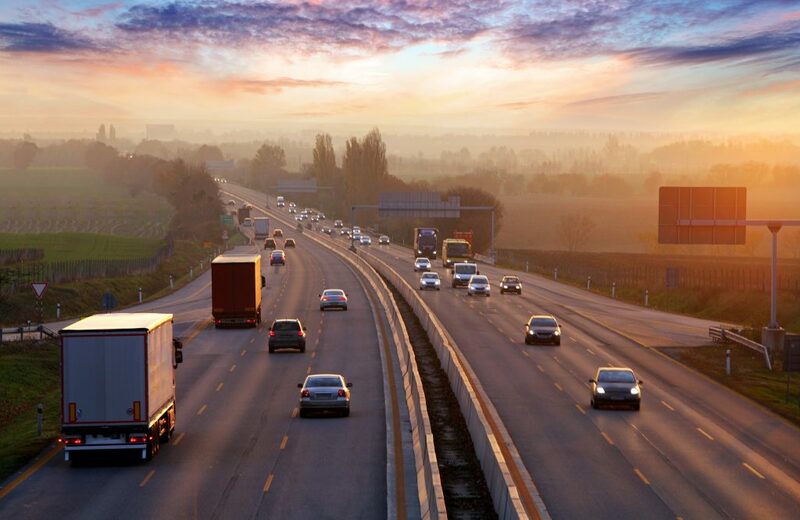 The studies have looked at issues ranging from skills to transport, governance reforms, and managing the impacts of Brexit. In the next few weeks, the TUC will be publishing the interim findings, with blogs posted here to summarise the headlines. In the meantime, you can register for our free event: ‘Great Jobs in Great Places’, taking place on 23 October, where Greg Clark, Secretary of State for Business and TUC General Secretary Frances O’Grady will give keynote speeches that reflect on the research findings. To sign up, click here. A very well researched and cogent analysis of real life in the UK today- sadly. Well done . hahaha – this has been going on for centuries – have you only just noticed?